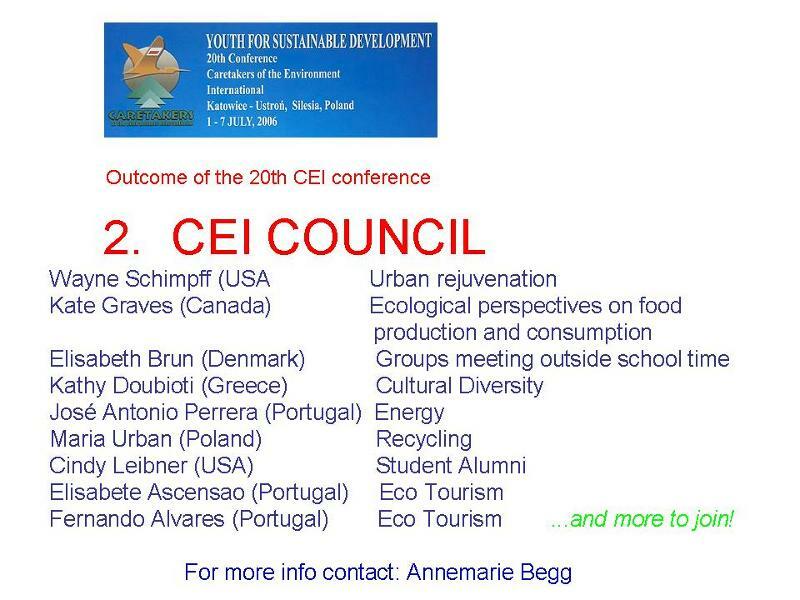 Caretakers of the Environment "CEI" celebrated the annual Congress, this year with the motto "YOUTH for a SUSTAINABLE Future ", in Katowice-Poland. The delegations from five continents arrived throughout day (1 July) and were settled into the three hotels of "Ustrum-Jaszowiec Poland". On the morning of the first day of conference the participants went to Auschwitz, where it was impossible for the participants to contain their tears over thoughts of the great suffering that took thousands of Jewish people in those facilities. 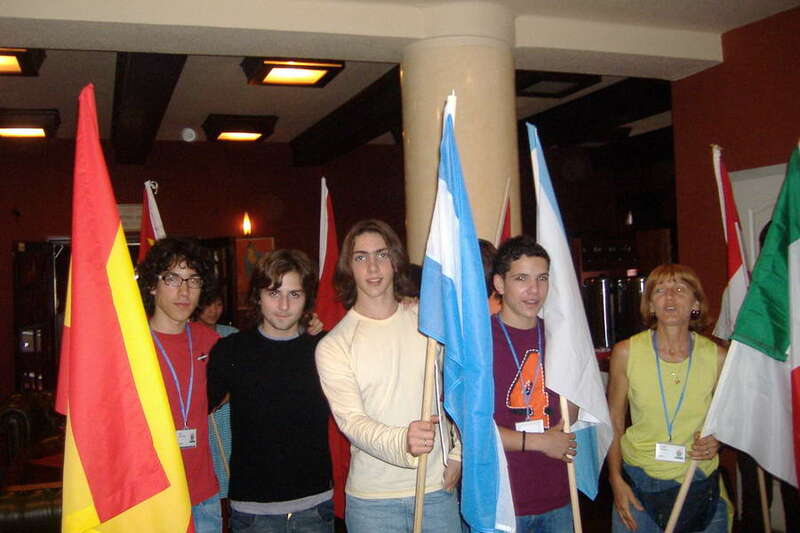 During the opening ceremony, Denis and Joel took flag of Galicia and Spain (that we represented), placing them among other 30 corresponding ones of so many other countries. They prepared a presentation in which the students were animals and had to speak with the human beings to make them see their dreadful behavior within Nature. Joel’s writing was chosen for its representation of a frog. Also songs were presented, in which the groups composed the words and they put music to them, or commented on the different possibilities that they saw to improve the planet. They also studied the forest in groups, studying the type of trees and shrubs, animals, or the types of herbaceous plants; we looked for the different plants that were in a square meter. Later they were tabulated so as to know the ecosystem of the forest. We collaborated in the cleaning of the borders of the Vístula River, a place often used by folks who take food and drink there. They unfortunately do not always gather everything when leaving. 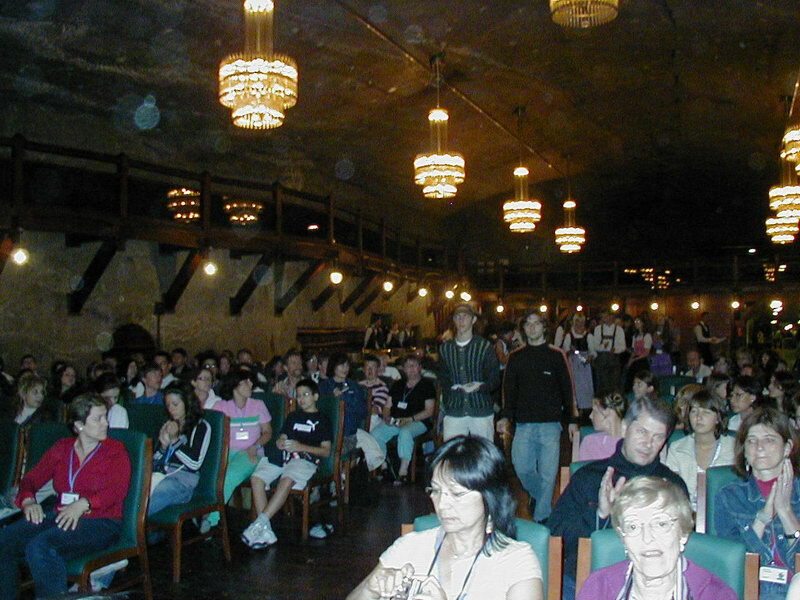 We went to the world heritage site “Wieliczka Salt Mine” (a working mine since the XIII century). The Poles knew to take advantage of and recovered the mine with the necessary elements so that thousands of people descend more than 140 meters by more than 600 steps. In the conference centre in this “belly of the world” we enacted a resource reunification ceremony. Each country deposited a gift of resources from their region of the world. This legacy of unification will remain with the host school. We left pieces of granite and slate, as they are abundant in our region. Following the ceremony the organizers offered a generous lunch in the restaurant, which was more than 140 meters below the surface of the earth and then a surprise trip to the medieval city, Cracaw. We visited a hydroelectric power station as well as a constructed commercial center on the site of an defunct coalmine. They taught us the operations of the power station and we visited about 3 kilometers of corridors of the stores, rooms of game, etc. The project presentations: the majority was on power point and all were of similar in quality, although some surprised us by their content. A follow-on poster session offered time for the materials to be reviewed in depth. The best ones without a doubt, from our point of view were those by the Chinese, Greek and Portuguese. Our project taught the beauties of the Valley of Lemos as a result of the work of: recovery of a Route of Senderismo and the cataloguing of the water sources of our Valley. We also briefly visited the cultural center of Krakow. The great nocturnal social gatherings, in which along with the Greeks and Argentineans, we made further great-united groups. The week was passing and soon the time arrived to draw the final conclusions and to bring closure to a great event. Do people all over the world ask the same questions upon meeting? We think so! Conclusions: the surroundings are not the care of few but rather ALL if we are to leave a legacy to our descendants. We may somehow think that our individual performances will not serve but we are mistaken, because indeed this is where the force resides, which further encourages governments, companies and society to behave in a sustainable fashion. In a world where we are drowning in our greed we are choosing: not to change, not to reduce consumption, not to reuse products and not to recycle what we used. Are we choosing not to have a future? 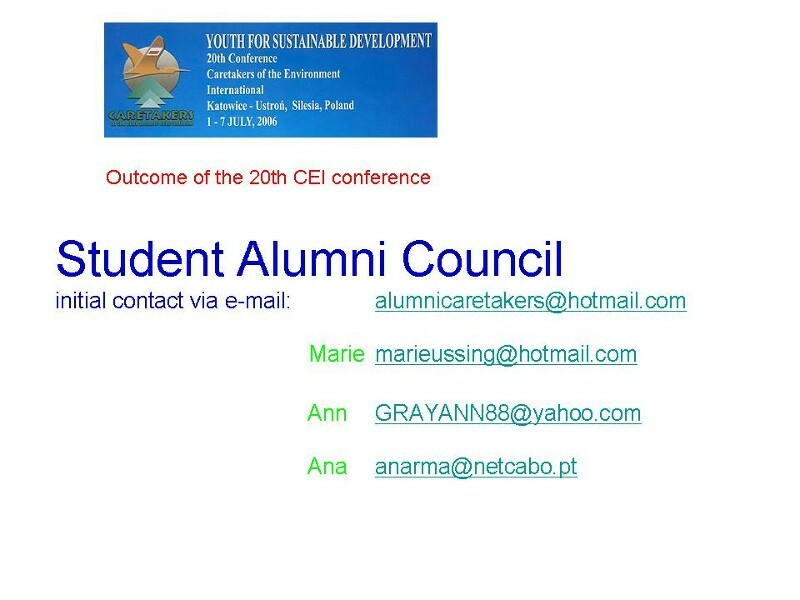 The creation fo an Ex- alumni Advisory Group, that serves as bridge between students and professors as well as to write for the "Global Forum". CEI Council members now have thematic areas of expertise and will nurture communication between professors and the congress. The Global Forum will be published at www.caretakers4all.org in Dec/January… deadline for your articles is 1 November 2006. CEI members will receive one hardcopy of GF in May/June. One is going away to reactivate the database of professors who participated in other conferences. 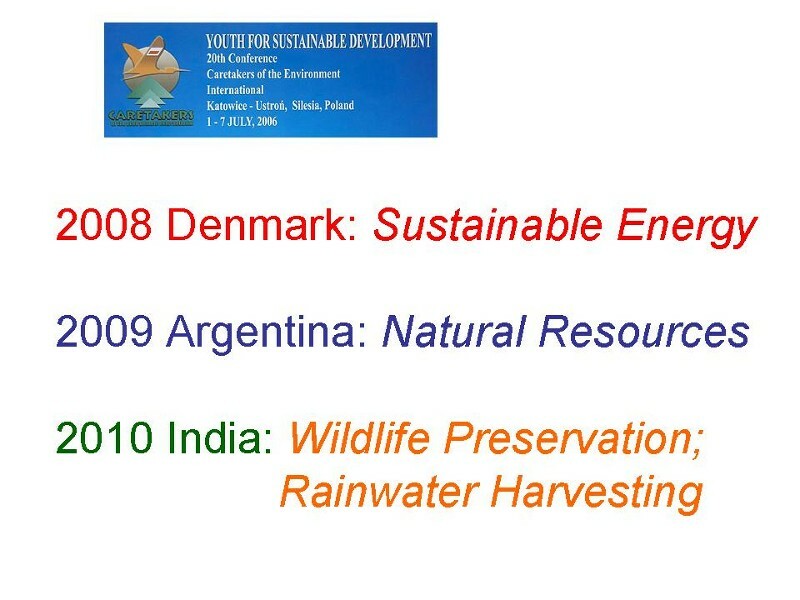 The date of the next conferences: Hong Kong-2007, Denmark-2008, Argentina-2009 e India-2010. It was suggested to help developing countries (RIACA) so that they can send delegations to the conferences and although it was considered that there would be to look for some form to resolve this problem. The organization is incapable of handling those expenses. The conference finished and then the time to say our goodbyes…there were changes in directions, invitations from others… as well as tears that many spilled between touching hugs. We even had a few hours to visit the center of Paris, seeing the emblematic places but of the Parisian city. The conference finished and then the time to say our goodbyes…there were changes in directions, invitations from others… as well as tears that many spilled between touching hugs. We even had a few hours to visit the center of Paris, seeing the emblematic places but of the Parisian city. This Congress was a very important learning activity, in it we saw ourselves and that environmental problems are similar everywhere however solutions are different. Creativity and the financial means to find these solutions differ from person to person and place to place. 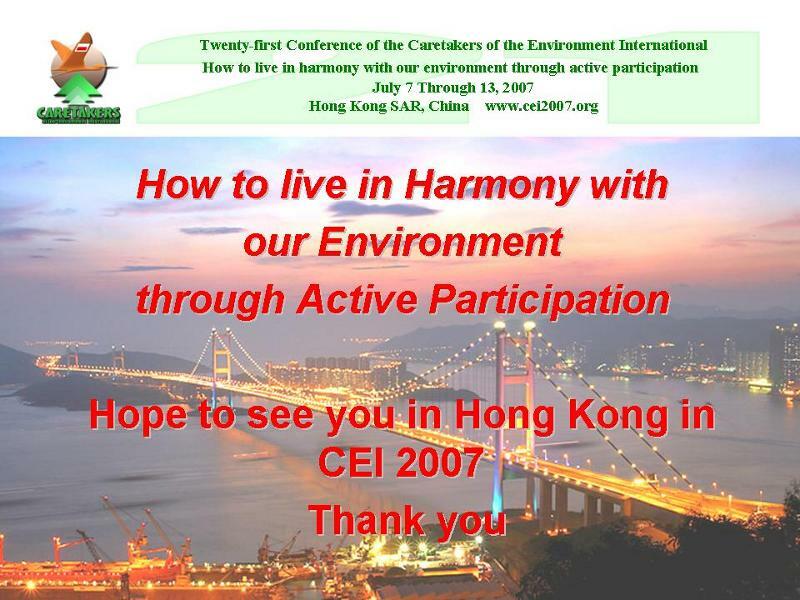 We also saw that our level in the subject of Environmental Education was to the standard of other delegations. 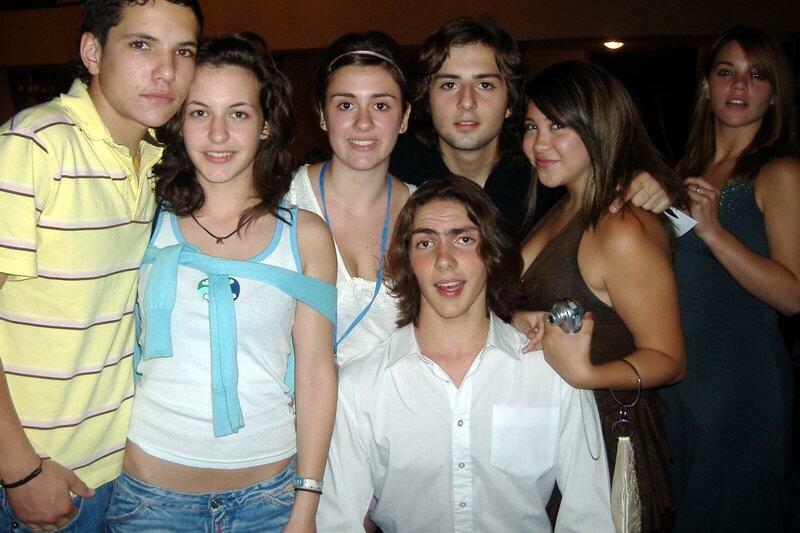 This made us realize that in Galicia the level of the students is not the one that they want us to see.